The Oita Prefectural Art Museum is located on Japan’s island of Kyushu. The modern and contemporary Japanese art collection is impressive; however, the biggest highlight of the museum is its elaborate modern architecture designed by noted architect Shigeru Ban. 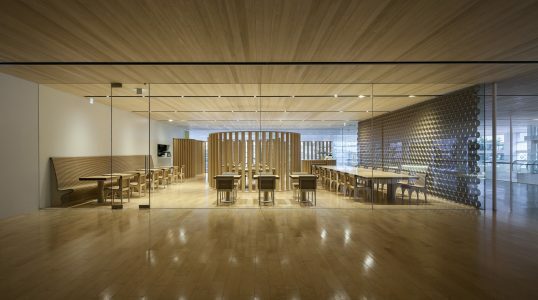 The use of large glass windows, bamboo, and white or light gray walls and ceilings gives the rectangular museum a bright, natural look that amplifies its interior space.